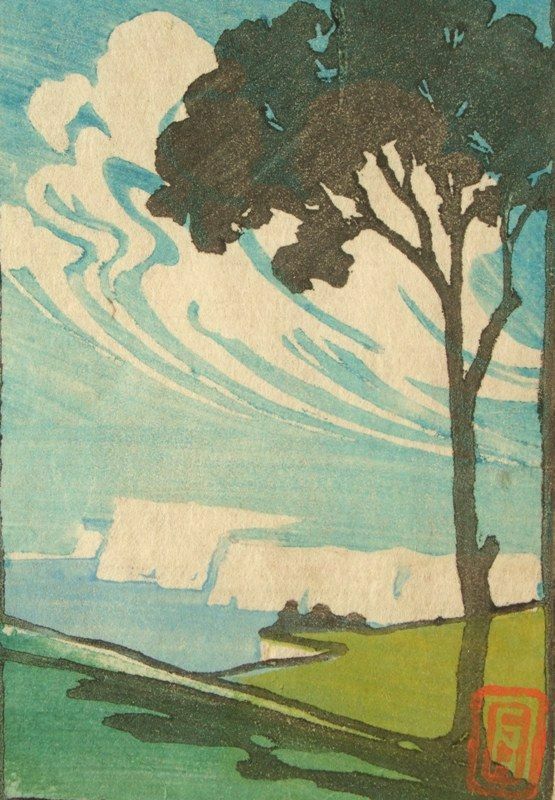 Original woodcut, printed in colours in the Japanese manner, from multiple blocks. Noel Heath; British artist active, 19th/20th century. 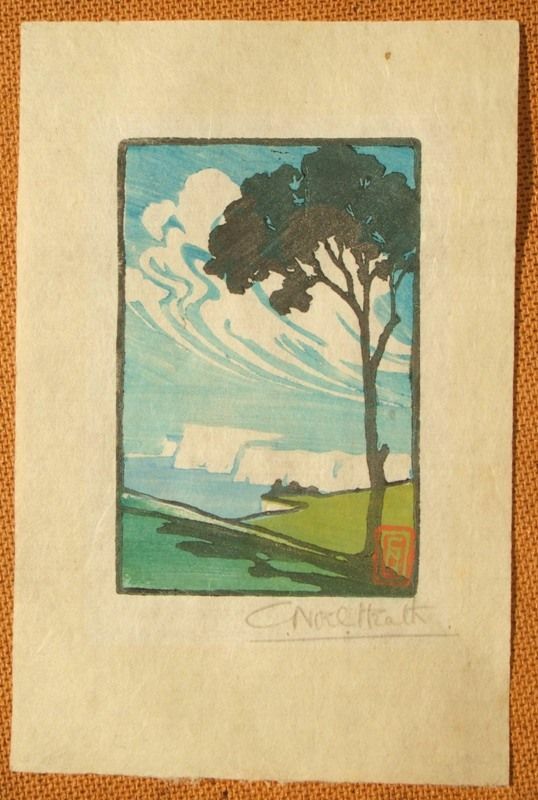 This fine engraving is bright and unfaded in coloured inks. The image printed on a handmade laid paper sheet measuring approximately 12 cms. x 19 cms. 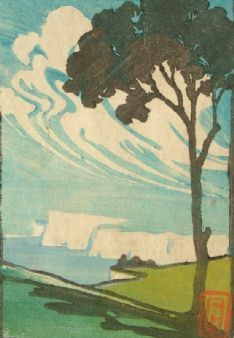 (5 x 7½ ins.) with full margins. 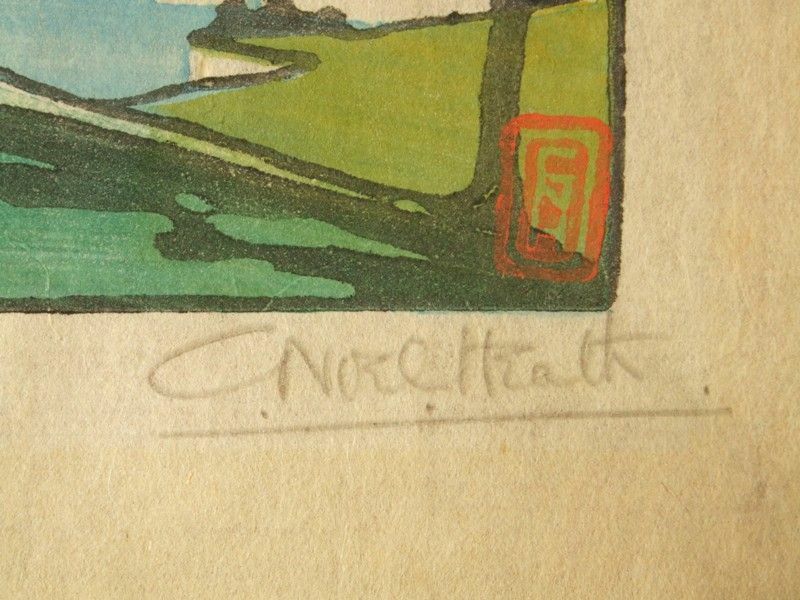 Pencil signed by the artist in the lower margin and signed with the artists red chop stamp in the image.